Who doesn’t love an early bird special? It’s not just for retired folks. People of all ages are seeing the benefits of eating a little earlier and having time after eating for fun or relaxation. Capone’s Dinner & Show often offers early shows and matinees. One such early show is fast approaching. 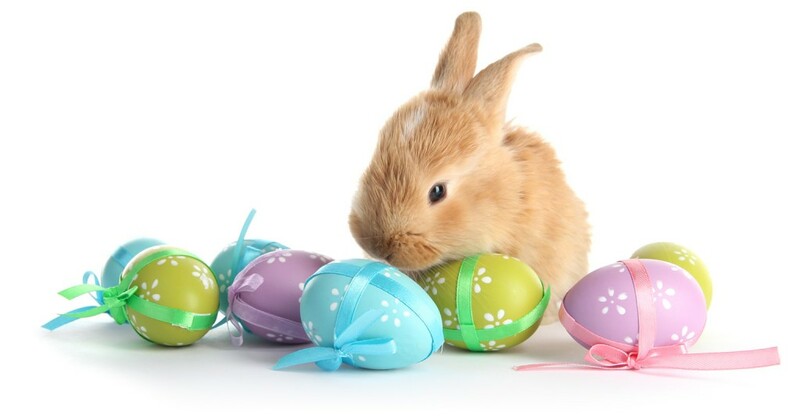 On April 6, 2019, an early show will be performed at 5:00 p.m. It’s an early bird special and a theater performance too! Get in for half price – call in your reservation at 407-397-2378 or order tickets online. Have a great meal and see a delightful show. There will still be daylight when you leave the theater. Time to have fun at other places, or go home and relax. Other early shows are listed as they are scheduled and can be found on the Showtimes page. The first written record of an “early bird special” dates back to July 12, 1904. There was a sale on men’s summer underwear at a department store named Olds, Wortman and King. I guess in Oregon, July would still be considered ‘early’ for summer underwear? Later in the 30s, stores used early bird specials during the first few hours after a store opened. Get your fedora on sale while they last! Furthermore, early bird specials began appearing with food-related deals in the 20s. Ads promoting “early bird breakfasts” were adopted by restaurants across the country. The term didn’t get paired with dinner and supper until the 50s. However, it was highly popular in Florida, especially in the 80s and 90s. This is also when ‘early bird specials’ became associated with the elderly. It was even written into a script in a 1985 episode of The Golden Girls (set in Miami, Florida). If you’ve heard the phrase “the early bird catches the worm,” you’re familiar with an old English proverb. It dates back to 1605! The phrase is often used to motivate teens to get up early, encourage employees for success and describe morning people. 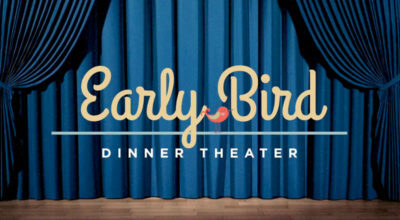 If you live or have visited Clearwater, Florida, you may have heard of Ed Fletcher’s Early Bird Dinner Theatre. If you are in the area, we highly recommend checking it out. Like Capone’s Dinner & Show, this theater has been around for over 25 years. It is a popular attraction in Tampa Bay. Their shows are funny and entertaining. Dinner is buffet-style provided by an onsite catering company. Additionally, a full-service bar is on site. Unlike Capone’s, it is not open every evening and the show varies. 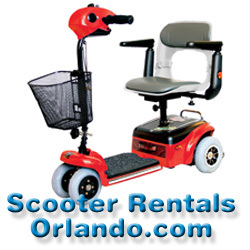 Visit them on the web or call 727-446-5898 for more information. 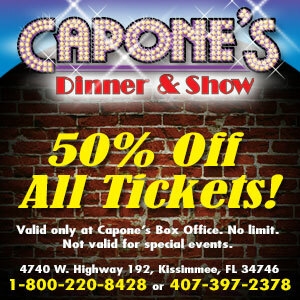 Regardless of when you like to eat, it’s hard to beat Capone’s Dinner & Show in the Orlando/Kissimmee area. Attend the upcoming early show and enjoy an early bird special fit for your entire flock. It doesn’t take a jailbird to figure out the advantage of getting out early! Everybody knows Capone’s Dinner Show is Italian, right? Well, knowing a little Irish mobster history will help connect this Kissimmee attraction to a delightful St. Patrick’s Day dinner show. Leprechauns, pots of gold and four leaf clovers are not mentioned at this speakeasy, but legends of another type are. One legendary figure is even written into the script! Misses O’Leary left a lantern in the shed. This children’s song sprang from the infamous James ‘Big Jim’ O’Leary era of Irish mobster history. Seems his parents owned the barn where the famous fire was thought to have started. The arsonist cow was never proven guilty. However, O’Leary proved to be one of the most notorious Irish mobsters of all times. He controlled the gambling on Chicago’s South Side in the 1890s. The mobsters at Capone’s Dinner Show also do a little ‘gambling’ upstairs in the Four Deuces Lounge. Upgrade to VIP tickets and experience a little of what ‘Big Jim’ controlled. Have a hot time in the old town! Another connection at this St. Patrick’s Day dinner can be found in the second most famous Irish mobster of all times – John Patrick Looney. If you’ve seen the movie “Road to Perdition” starring Paul Newman, this mobster is already familiar to you. Looney was an attorney who started his own newspaper in Illinois. It was 1905 and there was a lot of money to be made extorting powerful people with the threat of running unflattering stories in the news. After he sold the newspaper business, he turned his attention to gambling, brothels, speakeasies and protecting illicit liquor traffic during the Prohibition era. Like Capone, Looney was eventually sentenced to prison for his crimes. The St. Patrick’s Day dinner show connection with Looney can be found in a few ways. First, there are a lot of ‘looney’ characters in this show! Secondly, you can make headlines in the newspaper. 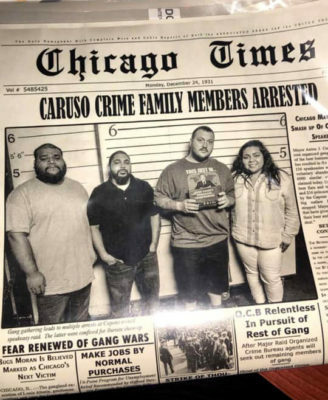 Press coverage will even include a photo of your gang! It will only cost a small amount of ‘extortion’ money for you to keep a copy for yourself. The third and fourth most famous Irish mobsters have a direct connection with Al Capone. Dean O’Banion controlled the bootlegging operations in Chicago’s North Side. In the 1931 film “The Public Enemy,” Jimmy Cagney’s character was based on O’Banion. This gang united with the Italian South Side mobsters in their bootlegging operations. This partnership included boss ‘Papa’ Johnny Torrio and his second-in-command, Al Capone. There was a little falling out – if you know your history. Does the St. Valentine’s Day Massacre in 1929 ring a bell? 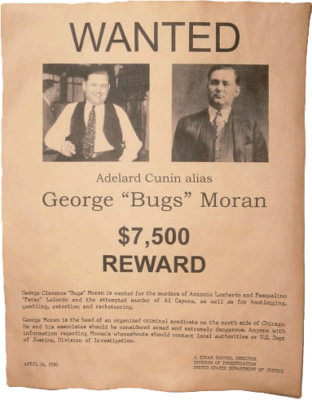 Lastly, if you’ve attended the St. Patrick’s Day dinner show at Capone’s before, you may recognize the name George ‘Bugs’ Moran. This Irish mobster shared a lifelong rivalry with Al Capone. Their bootleg operations were filled with back-and-forth retaliations during the Prohibition era. ‘Bugs’ was slang for “crazy” and George lived up to his name. He popularized drive-by shootings when he’d drive by Capone’s properties and pepper them with gunfire. At Capone’s Dinner & Show, Bugs Moran’s character has been written into the script. He is every bit as crazy but in a good, funny way. Of course, Al’s gang doesn’t want anything to do with this Irish mobster. The cast may even warn you about him. Seems he’d like to take over this ‘operation’ as well. The hysterics will leave you in stitches. 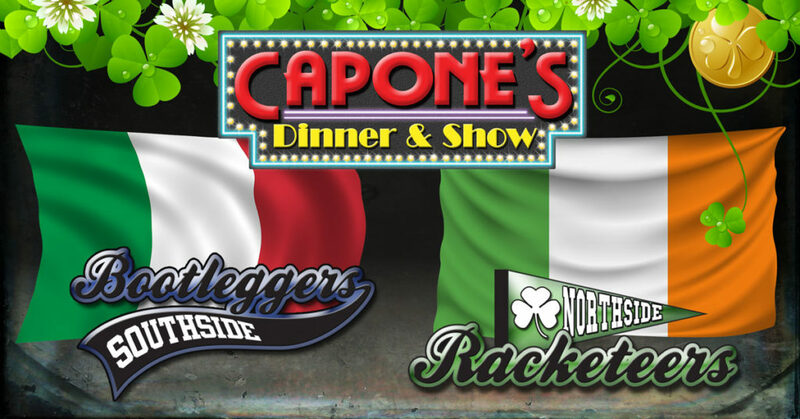 Click here to read another story about St. Patrick’s Day at Capone’s Dinner Show. There are many other Irish mobsters and their history is fascinating. If you’re interested, read about the 13 most famous Irish mobsters. Even without history, what makes a St. Patrick’s Day dinner so special at Capone’s Dinner & Show is YOU! Bring your gang whether you’re Irish or not. Expect to have a good time. Get into the era and let the characters at this speakeasy show you a good time. You might just create a little personal history along the way. There’s nothin’ like visitin’ a restaurant or some speakeasy knowin’ yous gonna receive consistent service. One of the goals at Capone’s Dinner Show is that each guest receives excellent service each time theys visit. That’s why havin’ a pal like Vito ‘round is so important. Yous sees all the dames, servers and wise guys at my speakeasy are special, but this month’s featured ‘pal’ is Vito. He’s been ‘round awhile and delivers consistent service to all my guests. Our guests ‘fall’ for Vito & his excellent, consistent service. Vito made his way down from New York several years ago. In fact, over 10 years ago he fell into our gang. He falls alot, but more about that later… Vito is an Italian name that is derived from the Latin word “vita,” meaning “life” or “life-giving” which is very fitting. This family name was passed down to Vito from his uncle. What good Italian family doesn’t have a Vito?! Vito is full of life and loves meeting new people at our Orlando dinner show. He enjoys servin’ guests and hearin’ ‘bout their stories. Sometimes he’s so engrossed with his guests he forgets where he is! That’s okay most of the time, but when it causes him to fall off the stage, it can be a real problem. Yous see, I’m all ‘bout takin’ care of the family, howevers, I ain’t much for workmans comp! These wise guys jus’ need to stay on stage or off of it. Course, when yous up there and all those pretty dancers are puttin’ on a show, it’s easy to fall for them gals. Yous know what I mean? Vito knows many repeat offenders – those folks that return to our joint again and again. Yous knows the ones. They have all the answers and know exactly how to get the best seats (either by making their reservations far in advance or bein’ VIP guests). They’s even been known to call in their reservations and ask to sit in his section! These repeat offenders also bring their cheap souvenirs and wear ‘em over and over again. They’re some of our most beloved guests! Other palookas that come to my speakeasy for the first time are thrilled to have Vito as their server ‘cuz they get consistent service which encourages them to visit again. All of my wait staff will keep your drinks filled, table clean and make sure yous don’t go yappin’ your jaw with Detective Marvel. After all, we’re all here to meet with Vito’s favorite “Italian Opera Lovers Society,” right? How to Meet Vito & Get ‘Free’ Dinner Show Tickets! If you’d like to meet Vito, or any of my wise guys and gals here at Capone’s Dinner & Show, yous can do so with ‘free’ dinner show tickets. Jus’ make your reservations online. All tickets purchased online are half price – it’s like buying one and getting one free, but better ‘cuz everyone gets discounted dinner show tickets! Come to our speakeasy an’ experience consistent service that Vito an’ the entire gang offer every evening. Your family will love the show and bein’ waited on like a high pillow. 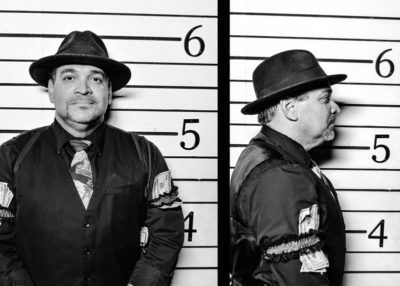 While you’re a guest at Capone’s Dinner & Show, be sure to meet Vito. He’s here nearly every night of the year and makes the show very lively – very Vito. If he’s on stage, watch out! Or better yet, get front row seats and catch him! So’s what’s keepin’ yous from visitin’? Come see my cabaret show, have dinner and spend some time with Vito’s family. Visit Orlando (official tourism association) has come up with 19 new reasons to visit Orlando in 2019. However, we’d like to round it up to 20 new reasons to visit Orlando (even though it isn’t 2020 yet). 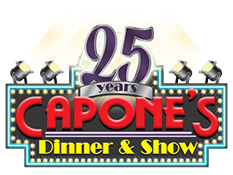 We want to add Capone’s Dinner & Show to the list! No, we are NOT new. In fact, we’ve been entertaining audiences with our hilarious Orlando dinner show for over 25 years. However, we’re still new to many tourists that come to visit this area. We also added a new script in 2017. So for many guests that haven’t been to Capone’s recently, our show will be new to them. Besides, with all of the audience interaction, every show feels like an original. ORLANDO, Fla., Dec. 11, 2018 — Orlando, Theme Park Capital of the World®, will have even more character in 2019 with the launch of new theme park thrills, adventures beyond the theme parks, and all-new places to stay, play and dine. 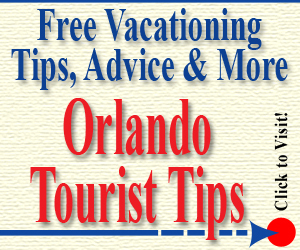 Visitors can get continuous updates on new attractions and planning tips at VisitOrlando.com, the official visitor information source for the destination. A new Sesame Street-themed land at SeaWorld Orlando is scheduled to open in spring 2019, complete with the iconic neighborhood, exciting rides, a parade and more. 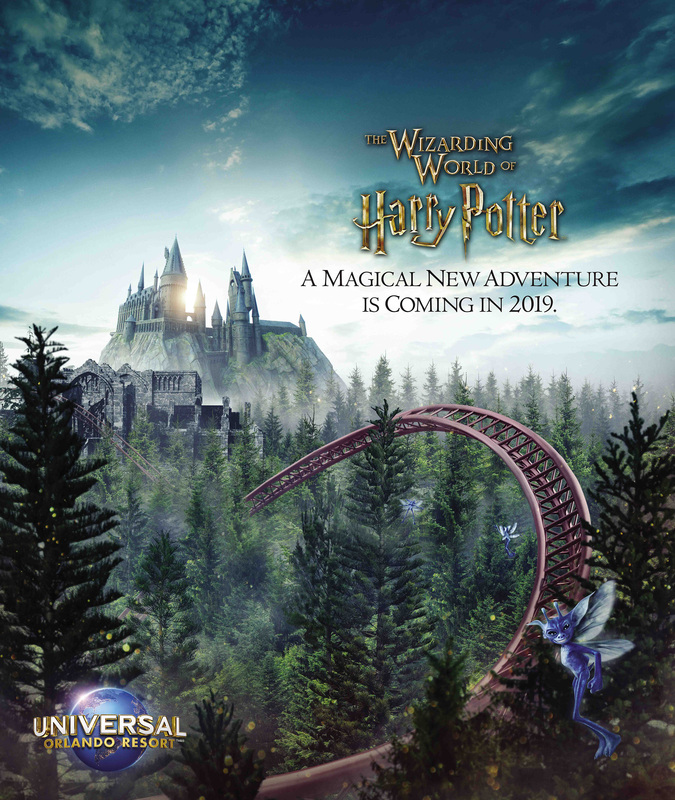 A new coaster, in place of the now-closed Dragon Challenge attraction, promises to immerse guests in an all-new adventure at Universal Orlando’s The Wizarding World of Harry Potter in 2019. Guests will enter the world of “Mickey Mouse” cartoon shorts using new technologies to bring the flat cartoon world to life in this new ride at Disney’s Hollywood Studios. 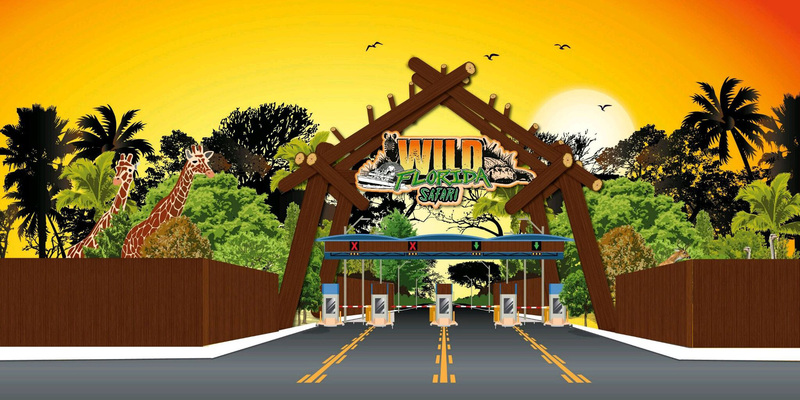 Wild Florida is expanding by more than six times its size to add a zipline and drive-through safari, bringing visitors nose-to-snout with giraffes, wild boars and other exotic animals. Surfside Inn and Suites at Universal Orlando Resort will open in summer 2019, the first of two new value hotels that will make up Universal’s Endless Summer Resort. 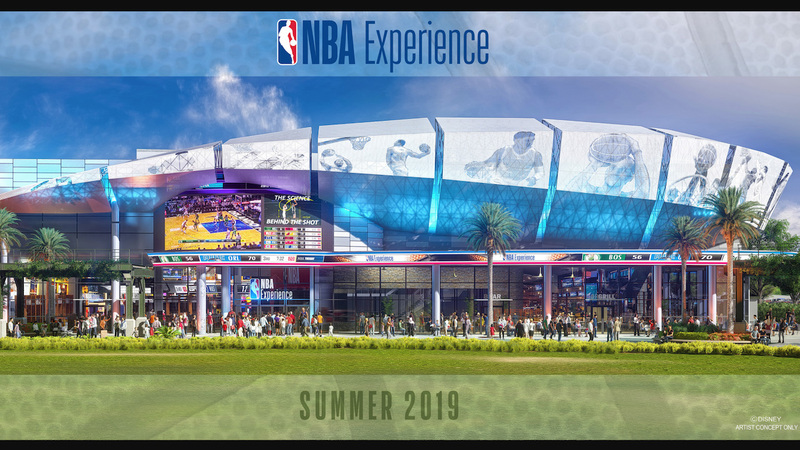 Disney Springs will welcome The NBA Experience, a state-of-the-art restaurant, complete with interactive games, in 2019. Orlando theme parks have experienced unprecedented growth within the past five years, with ground-breaking expansions including The Wizarding World of Harry Potter – Diagon Alley, Pandora – The World of AVATAR and brand-new waterpark Volcano Bay. The thrills continue in 2019 with brand-new immersive lands, rides and experiences to excite both first-time and return visitors. 1. Star Wars: Galaxy’s Edge, a new land at Disney’s Hollywood Studios, opens late-fall 2019. Set on the remote planet Batuu, the area will feature two signature attractions, Millennium Falcon: Smugglers Run, putting guests in the cockpit of the famous space ship, and Star Wars: Rise of the Resistance, where an escape from The First Order turns into all-out battle. 2. A new Sesame Street-themed land at SeaWorld Orlando is scheduled to open in spring 2019. 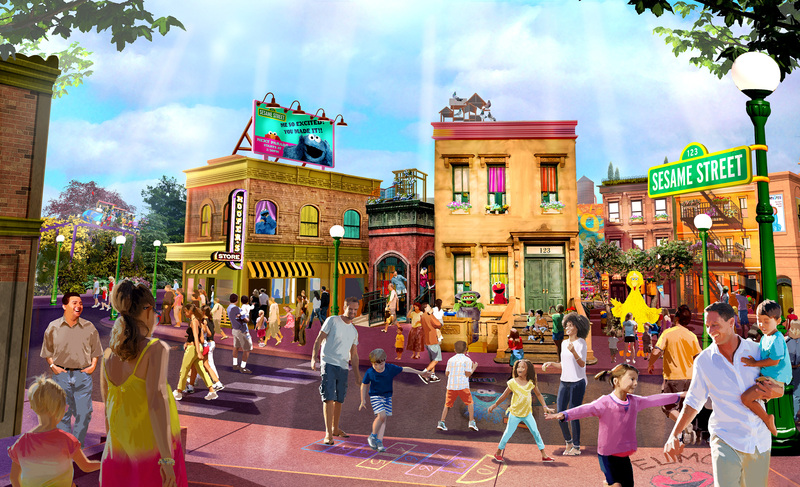 Guests can explore the iconic neighborhood, including the famous 123 stoop, exciting rides, the park’s first-ever parade, beloved characters and interactive experiences. 3. The Lego Movie World debuts at LEGOLAND Florida Resort in spring 2019, with three new attractions based on the 2014 film: Unikitty’s Disco Drop, Battle of Bricksburg and The Lego Movie Masters of Flight, a unique 180-degree rotating theater attraction with additional 4D elements such as smells and water sprays. 4. An all-new roller coaster thrill ride is coming to The Wizarding World of Harry Potter – Hogsmeade at Universal’s Islands of Adventure. Replacing what was once the “Dragon Challenge” double coaster, it is expected to be one of the most highly-themed coaster experiences that Universal Orlando has ever created. 5. New family thrill ride, KareKare Curl at SeaWorld’s Aquatica offers riders a high-adrenaline, weightless adventure as they “climb” a vertical wave wall. 6. 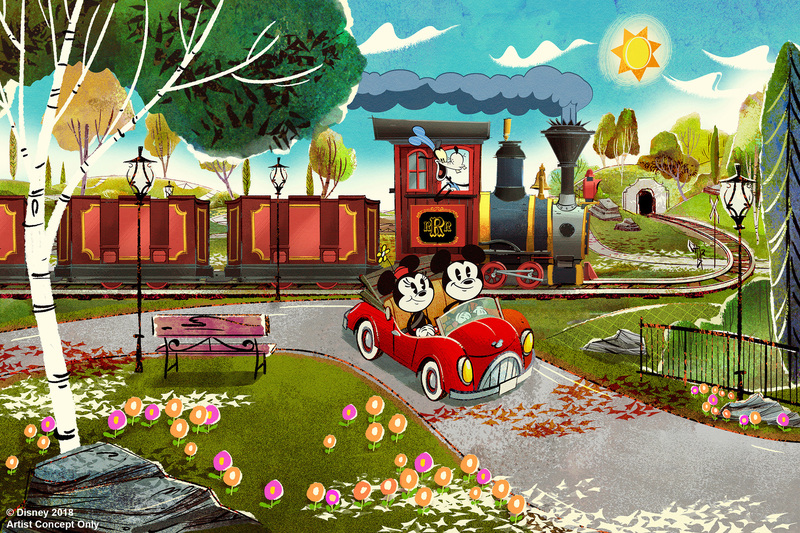 The first-ever Mickey-themed ride-through attraction, “Mickey and Minnie’s Runaway Railway,” will open at Disney’s Hollywood Studios. Guests will enter the world of “Mickey Mouse” cartoon shorts using new technologies to bring the flat cartoon world to life. 7. Lightning McQueen’s Racing Academy, a live show opening at Disney’s Hollywood Studios in early 2019, will feature beloved characters from the Cars movie series. 8. Dezerland Action Park, Orlando’s largest indoor entertainment, events museum complex, will offer 800,000 square feet of family entertainment. In 2019, the Orlando Auto Museum, one of the largest privately-owned collection of automobilia in the world, will open as part of phase one. The 250,000-square-foot experience will boast over 100 TV and Movie Cars, including dynamic displays of Hollywood Cars, 007 James Bond, Batmobiles, Vespa Scooters, Military and Micro Cars. 9. Wild Florida is expanding by more than six times its size to add a zipline and drive-through safari, bringing visitors nose-to-snout with giraffes, wild boars and other exotic animals. 10. Epic Axe Throwing is the first-of-its-kind in Orlando, a rustic “sport” open to anyone over the age of 13. Guests will have coaches on hand to teach them the art in a safe environment, for a unique new attraction with a competitive “edge.” It opened in late-2018. With record-setting visitation numbers and newly-added attractions, Orlando accommodations continue to experience significant growth. By the end of 2019, Orlando is expected to add approximately 6,000 new rooms. 11. Disney Riviera Resort, the 15th Disney Vacation Club property, is expected to open fall 2019 complete with a rooftop restaurant with views of both Epcot’s and Disney’s Hollywood Studios’ nighttime spectaculars. The resort will be part of the new Disney Skyliner gondola line, connecting the hotel along with three other properties to Epcot and Disney’s Hollywood Studios. 12. 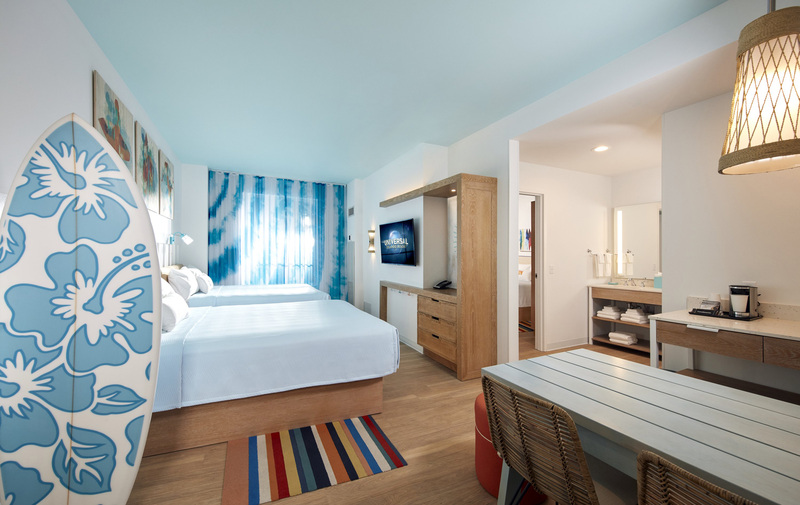 Surfside Inn and Suites at Universal Orlando Resort will open in summer 2019, the first of two new value hotels that will make up Universal’s Endless Summer Resort. The hotels, with rates starting at $100 per night, offer guests a more affordable on-site experience while keeping the perks of Early Park Admission and resort-wide transportation. 13. Margaritaville Resort Orlando is expected to open early 2019. The waterfront destination resort will feature 175 rooms, 1,000 Margaritaville-themed vacation homes and 300 timeshare units. The resort will also include a dining and entertainment district, a 12-acre water park, wellness center, miles of fitness trails and a destination water taxi system. From international celebrity chefs to local culinary superstars, Orlando’s food scene continues to reinvent itself, pleasing both distinguished palates and cash-conscious families. 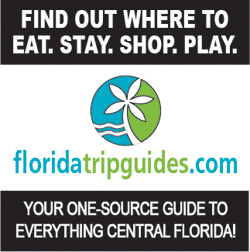 It’s why Orlando is among the top 10 Best Foodie Cities in America, according to Wallethub.com. 14. Disney Springs welcomes The NBA Experience, a state-of-the-art restaurant, complete with interactive games, and City Works Eatery and Pour House, which will serve 80 beers on tap, shareable American favorites and live sporting events broadcasts on high-definition TVs. 15. Pointe Orlando, an outdoor dining and entertainment complex on International Drive, welcomes The Hampton Social, themed after the New York coastal resort region, and Lotus Asia House, serving Pan-Asian cuisine inspired by street food vendors. 16. The Orlando Forum’s ROCK Dinner Show is a one-of-a-kind, dining and entertainment experience that brings audiences of all ages through a high-energy musical journey of the Kings of Rock and Pop – from Prince to Elvis to Katy Perry. It opened in late-2018. 17. From the owners of local favorite and nationally-recognized bakery Se7en Bites, comes Sette, a rustic Italian kitchen offering pastas made from scratch. 18. The operators of one of Orlando’s most popular vegetarian restaurants, Sanctum Café, are bringing this new concept to Winter Park, Proper & Wild, serving plant-based dishes that focus on modern food trends. 19. The District GastroBar, a new upscale restaurant and bar, inspired by Orlando’s mid-twentieth century African-American music scene, will feature an open-air patio, beer garden, and a menu with Caribbean flare. Visit Orlando is the official tourism association for the most visited destination in the United States and, together with its 1,200 member organizations, represents the area’s leading industry. Visit Orlando is responsible for branding, selling and marketing the Orlando destination worldwide, and serves as the official visitor information source. For those of you not wanting to let Halloween go, but still, like the idea of Christmas, the Phantasmagoria Christmas Carol is a unique show for you. A Christmas Carol: A Ghost Story of Christmas is being performed at smaller theaters throughout Central Florida, most notably on Saturday, December 22 at 2pm and 7:30pm at the Wayne Densch Performing Arts Center in Sanford. It could possibly be the most intriguing performance you’ll ever experience. If you are not familiar with “phantasmagoria,” you are not alone. Until a controversial video game came on the scene in 1995 (and only continued a few years), few people had even heard of this word. Phantasmagoria is an exhibition of optical effects and illusions, usually in a bizarre fashion. Think horror theatre combined with a circus; a séance combined with a magic show; steampunk combined with Victorian fantasy. That should give you some idea of the what this unique show might offer. Now add in the story of Charles Dickens’ “A Christmas Carol” and you’ve got a very interesting performance! John DiDonna is the founder of Orlando’s Phantasmagoria. He is also a teacher at Valencia College and has directed performances at most every theater company in the Central Florida area. He often finds performers to fill his roles at other Orlando theater performances. For example, the current queen at Medieval Times Orlando dinner show has been known to perform in the Phantasmagoria troupe. Who is This Unique Show Suitable For? If you are not certain this unique show is for you, think again. Last year tickets to the performances sold fast. Even kids can enjoy the movement, dance, puppetry, projections, music and storytelling. Just make sure they understand this is one of the most famous ghost stories of all times. While it may be a familiar story, this performance may be the most intriguing you’ve ever experienced. For tickets, visit the Phantasmagoria’s website and select the performance and location you’d like tickets for. Most tickets start at $20, however, VIP packages are available at some theaters which include early entry, a souvenir, drink and post-show performance. 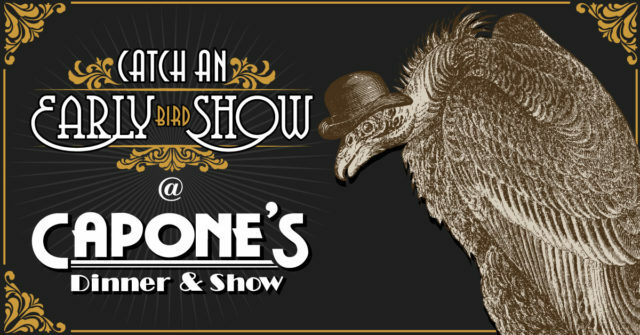 Speaking of unique shows… Capone’s Dinner & Show is one-of-a-kind, not found in any other area. Kids of all ages will have a blast here too. You won’t find any scrooges around here though. Al’s a generous fella and puts out a spread for his guests each night and even includes unlimited beverages. Just don’t go drinking too many. A ghost of your own Christmas past may find you in the most ‘phantasmagoria’ way! 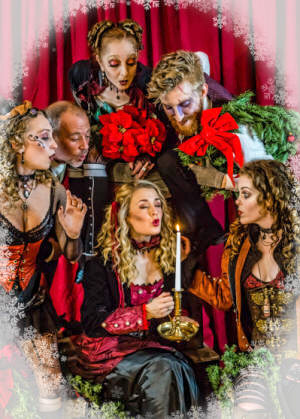 So if you are up to seeing a unique show this holiday season, check out the Phantasmagoria’s “A Christmas Carol, A Ghost Story of Christmas.” Then save a night for Capone’s and check out our speakeasy and cabaret. This time of the year, we feature a unique show filled with holiday favorites. We’ll see you, hopefully in the past, present and future!